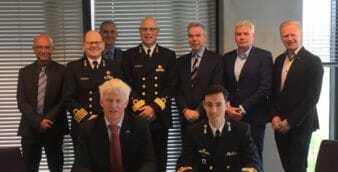 In March 2017, Pakistan and South Africa signed a memorandum-of-understanding (MoU) to facilitate the “acquisition of defence equipment as well as cooperation in Research and Development (R&D), Transfer of Technology, Co-production/Joint Ventures in public as well as private sector.” On the surface, the MoU was geared towards enabling South Africa to secure a stable, long-term source of revenue and, in turn, to provide Pakistan a means to affordably acquire – and domestically develop – defence technology. In fact, defence collaboration between Pakistan and South Africa dates back to the mid-to-late 1990s, i.e. when the Pakistan Air Force (PAF) worked with Kentron to secure the H-2 and H-4-series of guided stand-off weapons (SOW) and, according to many reports, the Ra’ad air-launched cruise missile (ALCM). However, despite the apparent potential synergy between Denel Group’s offerings – especially those of Denel Dynamics – and the Pakistani armed forces’ munition needs, Pakistan has not availed the renewed opportunity, especially one endorsed by Cape Town itself. Arguably, the peak of bilateral defence collaboration between Pakistan and South Africa had occurred in the late 1990s and early 2000s. In 2003, the PAF announced that it test-fired the H-2 and H-4, a series of air-to-surface glide bombs with ranges of 60 km and 120 km, respectively. Given these specifications, it appears that the H-2 and H-4 are locally-built variants of Denel’s Raptor I and Raptor II. In 1999, Denel had even offered the PAF a complete suite of air-to-air munitions for use from the Super-7 – i.e. the JF-17 Thunder. 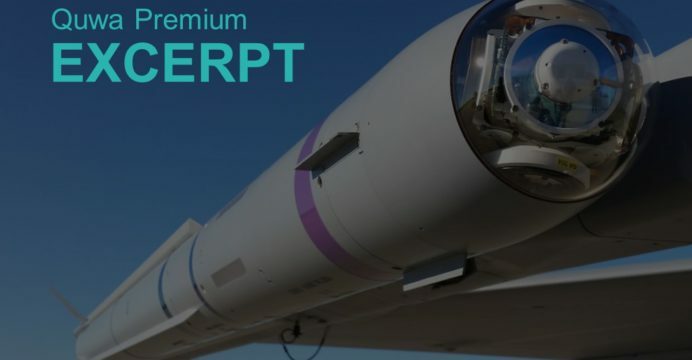 The package had included the A-Darter high off-boresight air-to-air missile (HOBSAAM) and T-Darter active radar-homing (ARH) beyond-visual-range air-to-air missile (BVRAAM). In response, then PAF Chief of Air Staff (CAS) Air Chief Marshal (ACM) Parvaiz Mehdi Qureshi stated, “We would also like to develop something ourselves in collaboration with others.” ACM Qureshi’s statement implied that the PAF was willing to domestically develop and produce its own munitions for the JF-17. In 2007, the PAF test-fired the Ra’ad ALCM. The Ra’ad was intended as the mainstay to the PAF’s strategic or nuclear delivery capabilities, offering a range of 350 km. It is widely believed that the Ra’ad was derived from Denel’s prior ALCM work, namely the MUPSOW (Multi-Purpose Stand-Off Weapon) platform. Overall, working with South Africa enabled the PAF to significantly improve its long-range strike capability, and that too through the Mirage III/5. Through SOW and ALCM, the latter has emerged as a credible asset and offensive threat, one with potentially strategic ramifications (i.e. nuclear). However, in the late 2000s and early 2010s, defence cooperation between Pakistan and South Africa had waned. Firstly, the South African defence industry prioritized the larger Indian market and, as a result, it essentially withdrew from potential Pakistani bids. Secondly, Pakistan’s defence requirements were being met by the Chinese, who leverage scale and credit to competitively price their goods. Granted, Pakistan’s decision to draw on China is rational (e.g. China’s scale and fiscal capacity enable it to develop and manufacture big-ticket items affordably, Pakistan cannot match it in all domains). However, in quantitatively-heavy domains – such as munitions – domestic production is rational; not only can one scale it, but in the long-term, it would be more affordable to sustain than solely importing. Joy Nonzukiso Peter. “A memorandum of understanding on Defence and Defence Industrial Cooperation with Pakistan.” Department of Defence. Government of South Africa. March 2017. URL: http://www.dod.mil.za/news/2017/03/mou_pakistan.htm (Last Accessed: 26 June 2018). Arshad Sharif. “PAF adds new bombs to its arsenal.” Dawn News. 18 December 2003. URL: https://www.dawn.com/news/130099/paf-adds-new-bombs-to-its-arsenal (Last Accessed: 21 July 2018). “Denel offers Pakistan missile deal.” Flight International. 24 February 1999. 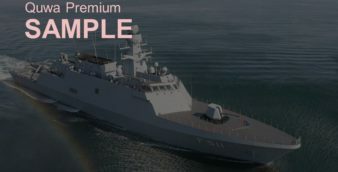 URL: https://www.flightglobal.com/news/articles/denel-offers-pakistan-missile-deal-48464/ (Last Accessed: 21 July 2018). “Pakistan tests new cruise missile.” Al Jazeera English. 25 August 2007. URL: https://www.aljazeera.com/news/asia/2007/08/2008525134624132892.html (Last Accessed: 21 July 2018). Chris Pocock. “Pakistan Launches Indigenous ALCM Again.” AIN Online. 08 June 2012. 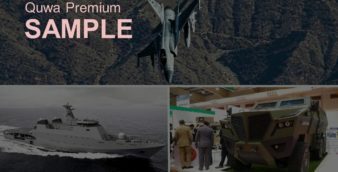 URL: https://www.ainonline.com/aviation-news/defense/2012-06-08/pakistan-launches-indigenous-alcm-again (Last Accessed: 21 July 2018).